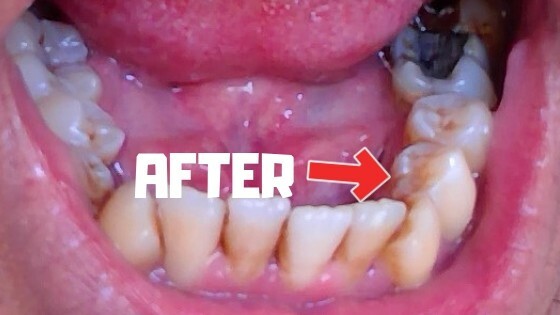 Removing Brown Stains On Teeth is not easy! it definitely cannot be done by brushing alone. You need some extra tools to help you fix this problem. I used a Scaling tool which I brought out of curiosity rather than thinking it would actually work. It’s called the Uniharpa. Just looking at the few reviews it had on Amazon, it wasn’t really something that had been proven and the reviews would make people turn away from this product. Not me though, I was in full on buying mode and went for it. The first time I used it, I was BLOWN away, Why? because it actually removed the brown stains on my teeth. Yes it took about 5 minutes per teeth but it Worked! You can even check out the pictures below to see for yourself. 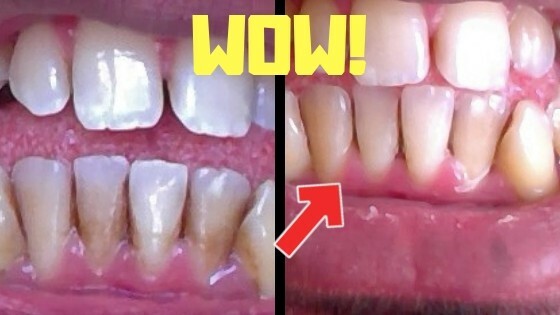 So if your ready and want to know How To Remove Brown Stains On Teeth, please keep reading on because I will show you the best way to Uniharpa for maximum effect. But before that let’s talk a bit more about Brown Stains and how they come about? Brown stains can occur anywhere on the teeth and are usually due to various pigments contained within drinks such as coffee and tea. Overtime this staining darkens the colour of the teeth and brown stains start to appear. If left untreated these can darken and become harder to remove with brushing alone. Brown stains are caused by a variety of different things, some related to medical conditions but the most common sources are in our food and diets. The next section dives into full detail about this so keep reading! Tartar is plaque which has hardened overtime and has calcified and turned brown. This usually appears around the area where the gums and teeth meet. Certain toothpastes claim to remove these brown stains gradually but don’t be fooled, It Won’t happen! 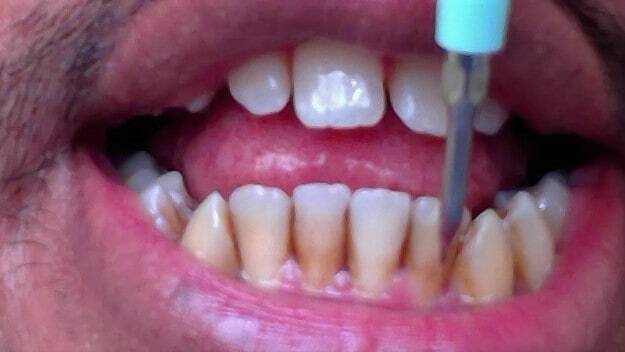 Tooth Decay is another major factor which can cause brown stains/spots to appear. Too much junk food and sugary drinks create an environment for bacteria and plaque to increase at an alarming rate. If the plaque isn’t removed by regular brushing and flossing, it weakens the enamel and turns it brown. A number of different drinks, including coffee, tea, sodas, sports drinks and wine, can cause stains due to their acidity. Teas of all colours, even white tea, have been shown to stain teeth and erode enamel. I firmly believe these factors are what caused my brown stains to accumulate over the years. In fact I only really started to get serious about my oral health a couple of years ago. 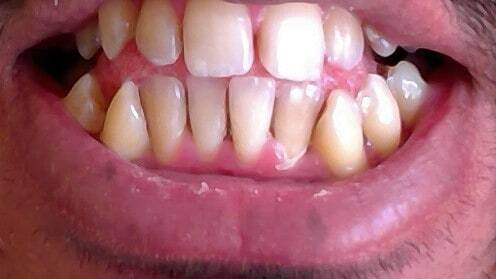 My regular consumption of coffee and tea did not help either and now I also have yellow teeth. Not A Good Look! Well for me the only thing I tried was the Uniharpa electrical calculus remover and it actually worked to my surprise. I did not have high hopes for it judging by the Amazon reviews left by other customers but I thought the relatively cheap price would not really hurt me financially so what the heck, I went for it. The first time I used it, the results were instantaneous and the brown stain was being removed in front of my own eyes. 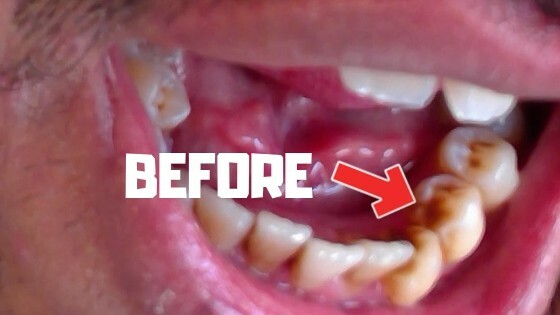 It took 5 minutes to remove the brown stain from one of my bottom teeth. I have provided pictures for evidence, just scroll down and see the transformation. Why Does Uniharpa Work So Well? To be honest, I can’t really say why Uniharpa works so well but the main selling point is the electrical vibrating technology it uses. The sharp needle like metal pick at the end vibrates 10000 – 25000 per minute and causes the brown stains to dislodge and detach from the teeth. It also has 5 different power settings making it suitable for various different levels of staining. To be honest I always use the most powerful setting every time now. I think I only used the lowest setting when I first tried it because I was not familiar or comfortable on how to use it. Along with removing the stains, I also noticed it removed quite a lot of the soft plaque which had built up throughout the day which brushing did not remove. It’s all well and good telling you guys this product works but if there is no proof then why should anyone believe me? That’s why for this little experiment of mine, I decided to take before and after pictures to show you that the Uniharpa does indeed work. The first set of pictures are showing the brown staining on the middle of my Premolar. I started with this because the stain was really heavy and if the Uniharpa could remove this then anything would be possible. You can see that the heavy brown stain on the premolar was gone and my teeth looked much more attractive. Now I just need to touch it up with some sort of whitening treatment and I should be good to go. 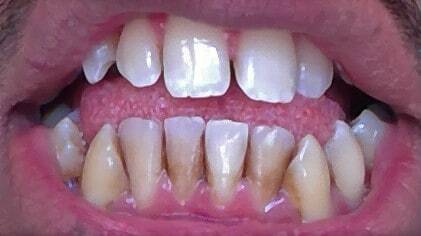 All the brown stains from my bottom from teeth have completely gone and I feel like I have a new set of teeth. It’s a great feeling and it wasn’t too complicated to achieve these results. All together I reckon it took 30 minutes of usage over a 3-day period to achieve these results. 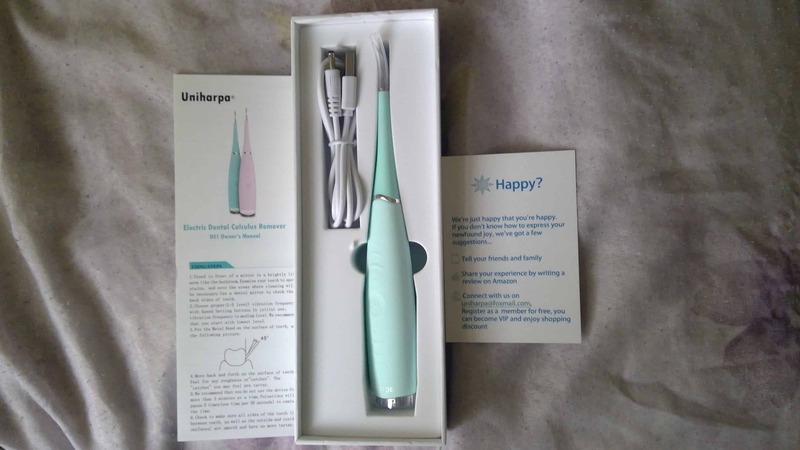 Get The Uniharpa Electrical Calculus Remover From Amazon To Brighten Up Your Smile! Is It Dangerous To Use? 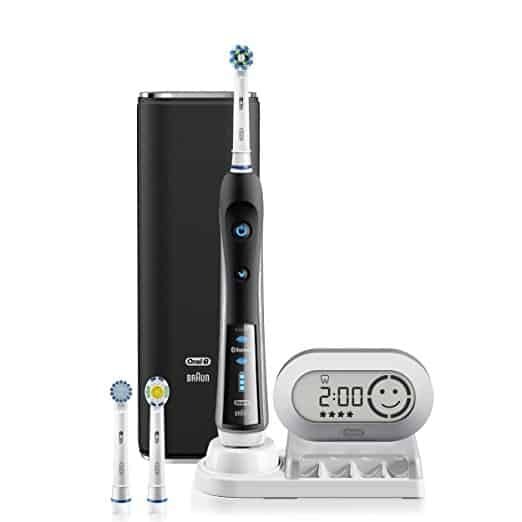 I used it on numerous occasions and have had no problems but I will stress that you can do some serious damage to your gums if you misdirect it. The sharp metal pointy end is like a needle and can cause a cut in the gums or even damage enamel if you are not gentle! The first time you use it, please go extra easy and use the lowest setting. Just move it up and down on the teeth and get use to the feeling. Once you know how to use it and at which angles, you can go onto the higher settings. You can also use it to remove brown/black lines where you gum and teeth meet but the chances of bleeding are high. I did it and yes there was blood but only a little. To me, getting rid of ugly stains is worth sacrificing a little blood. Stand in front of the mirror and look for areas where the staining has occurred. Focus on 1 teeth at a time as it will give you better results. Gently place the metal point onto the teeth and move up and down where the stain is. It will take about 3 – 5 minutes to completely remove the brown stain. Repeat steps 3-7 until you have reached all the areas. NOTE: It can get quite tiring using this product for more than 10 minutes. I suggest you remove stains gradually over a period of 5 -7 days. It will make it a lot easier. One Other Thing to mention is that the Uniharpa will turn off every 20 seconds for 1 second. Don’t be alarmed, it’s just a safety mechanism. The biggest positive is that the product works and results are near enough instant. I have had no bad experiences with the Uniharpa so far. Battery life is excellent. I have not had to recharge the battery in the 4 days I have used the Uniharpa. Very simplistic design and easy to follow instructions. All you do is turn it on and away you go. Warranty is standard but you also have the Amazon 30 day money back guarantee. It’s a neat little stain remover which does not cost a fortune and does what it says. The only Negative I can think of is the slight danger it might pose to someone who is not very stable with their hands. The sharp metal end can cause damage to teeth enamel or the gums if too much pressures is applied. Try to get use to the vibrating feeling before you actually start using it properly. They do matter but in this instance, they are not going to tell you much about the product. It’s currently at 4 stars which is good to be fair but a lot of the reviews say it doesn’t work. That could be true but you can see it worked for me and if you have similar stains to mine, you too will see good results. A couple of reviews have mentioned the possible damage the Uniharpa can cause but as I have mentioned above, if you go easy for the first few times and get use to the feeling you will be good to go. Maybe if the staining is very thick you might have a problem in which case you will need to go to the dentist to get ultrasonic cleaning done. Where Do I Buy The Teeth Stain Remover? The Uniharpa is made in China which is obvious because the instructions are in Chinese/English. That being said, it’s a solid product. It can only be brought Online from Amazon because it’s produced by a Chinese firm and it saves the company costs this way. I ordered it and received the product 5 days later which is reasonably fast. There was no damage to any parts and everything came as pictured. It doesn’t cost a fortune either, currently it’s priced at $26.90 (£29.90 for UK) and best of all, it can be used over and over again. Brown stains On Teeth are quite common for people especially if you did not pay much attention to them in your younger days. They are caused by various different things such as food and drink and poor oral care. The most common way to get this staining removed is going to the dentist and getting an ultrasonic clean but that can cost quite a bit of money per visit. I found a product called the Uniharpa which does just as well for the price you pay. It will remove the brown staining on teeth and leave you with a better smile. 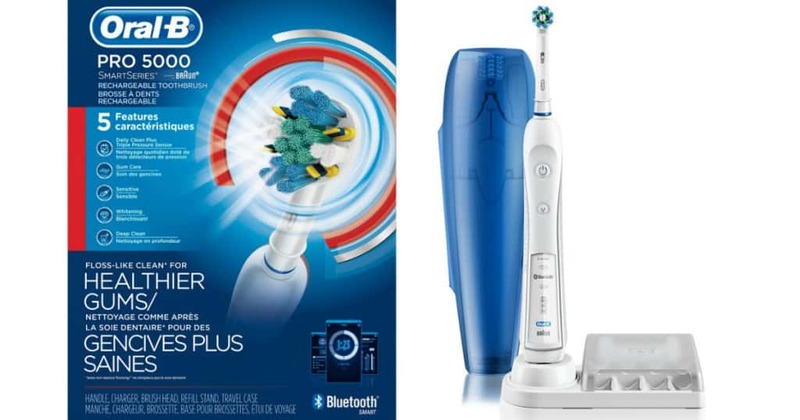 Make sure to use it sensibly because it is quite sharp and could cause damage to gums and enamel if used aggressively. 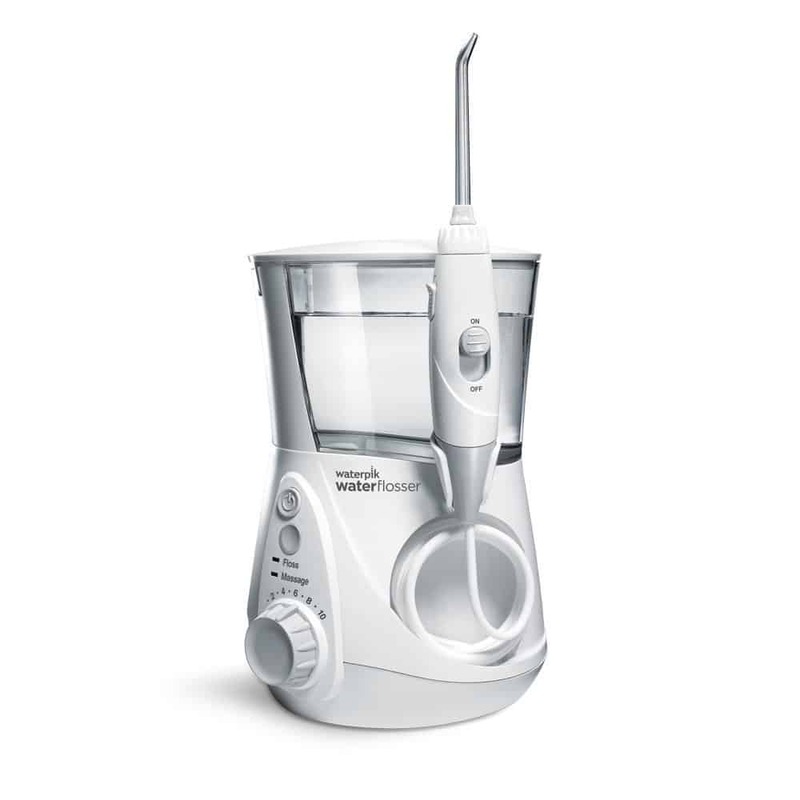 I only bled once during the time I have been using it and that was only because I was targeting the area where the gums and teeth meet. I actually knew I was going to have some bleeding and was fully prepared for it. It’s not a big selling item with only 60 reviews on Amazon (Only 5 on UK Amazon) but it does certainly work so don’t be put off by this aspect. Q. Will this be able to reach the back of the teeth? A. Yes it can reach the back of the teeth. Stand in front of a mirror in a brightly lit area like the bathroom and examine your teeth to spot stains. Note the areas where cleaning will be necessary. Use a dental mirror if necessary to check the back sides of teeth. A. Yes. Because you brought it from Amazon you get a compulsory 30 day money back guarantee if for whatever reason you are not satisfied with its performance. I’m really glad I found this article, as I’ve been paying over the odds for specialised toothpaste for years now – and my teeth really have not got any whiter, and the brown stains remain. This Uniharpa electrical calculus remover looks quite impressive, but how safe is it for someone to use outside of a dentist’s office? Thanks for your question. When i first looked at the product, i thought the same thing. It looked quite daunting but i can say for certain you will not have any safety issues with it. The first time you use it, try to get the feel of it and go slow and steady. Once you know how it works and get the hang of it, it will be a breeze. Thanks for providing this article, the Uniharpa sounds like a very useful tool to remove brown stains from your teeth. I tend to have a problem with losing/ misplacing chargers, do you know how easy it is to source replacements should this occur? You say to go for a lower setting at first, do you recommend “upping” the setting the more practice you get using it? As far as getting replacement chargers, I don’t think that is possible, you would have to buy the whole unit again. You could try getting in touch with the company but that can be difficult sometimes. I would say just keep the charger in the box and only take it out when needed. For your second question, i used the low setting at first but it took me only 10 minutes to get use to the sensation and i upped the power immediately, worked like a charm. But yes, make sure you are fully accustomed to it before trying the higher settings. Interesting product. I had no idea there was something you could buy on Amazon to remove these stains. Fortunately, I have so far managed to avoid any brown stains on my teeth so far in my life. This could be due to the fact that I don’t drink coffee and rarely drink tea. But if I ever develop stains like those from other sources such as berries I’ll know where to go to remedy it! It’s interesting that not all the reviews were good. I guess everyone’s stains are different and perhaps it just didn’t work for some people. Glad to know you are stain free, let’s hope it stays that way. When i brought the Uniharpa there were only 20 reviews but since then there are over 105 reviews. I took a risk by buying it but it worked out for me. Sometimes you have to follow your gut instinct even though a product is relatively unknown.